This New Year's Eve wedding had beautiful champange and gold decor, just fitted for an amazing celebration! 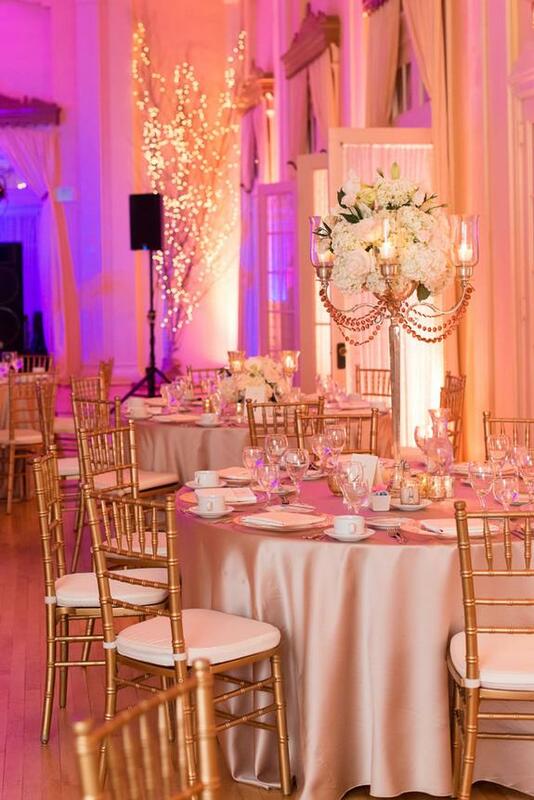 We love how the pink lighting in the room gave the tables a beautiful blush glow! Cheers!